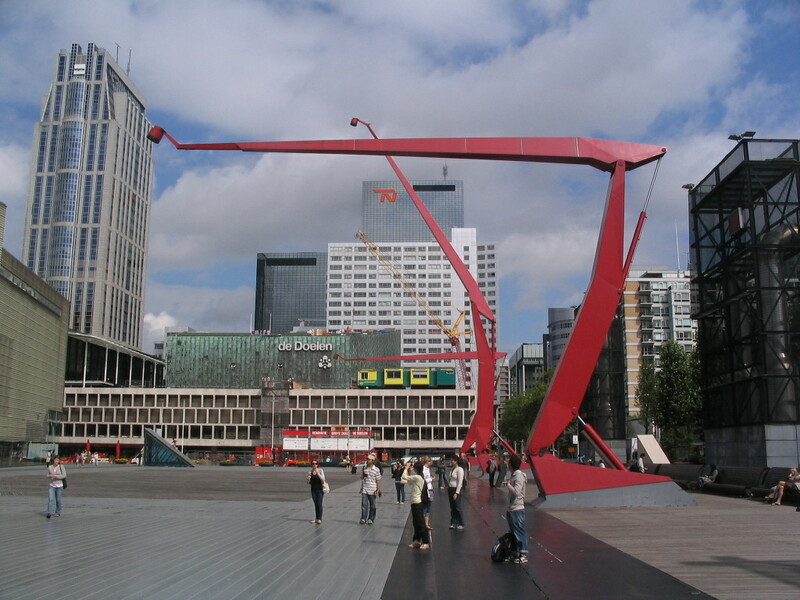 Rotterdam, Europe's largest port, has a much more modernistic built environment than Amsterdam since the center was bombed in World War II and had to be almost totally built anew. I realize just now that this difference is similar to that between Helsinki and Turku's building stock. 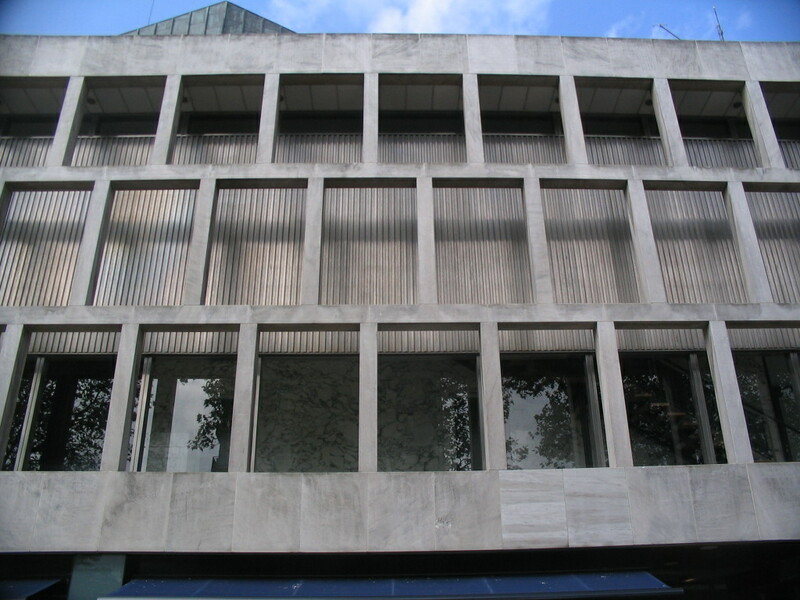 Not far south of the station, here seen from Karel Doormanstraat, is the concert hall De Doelen; this stone screen wraps around it on two sides. 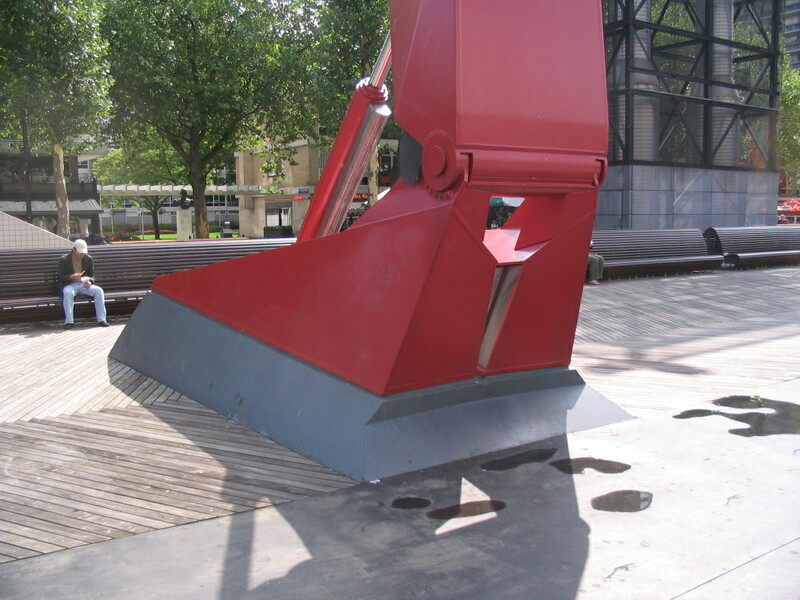 Adjacent in the Schouwburgplein (Theater Square), the giant red robots had arrived. Hmm, the robots appear to be remotely human-controlled. 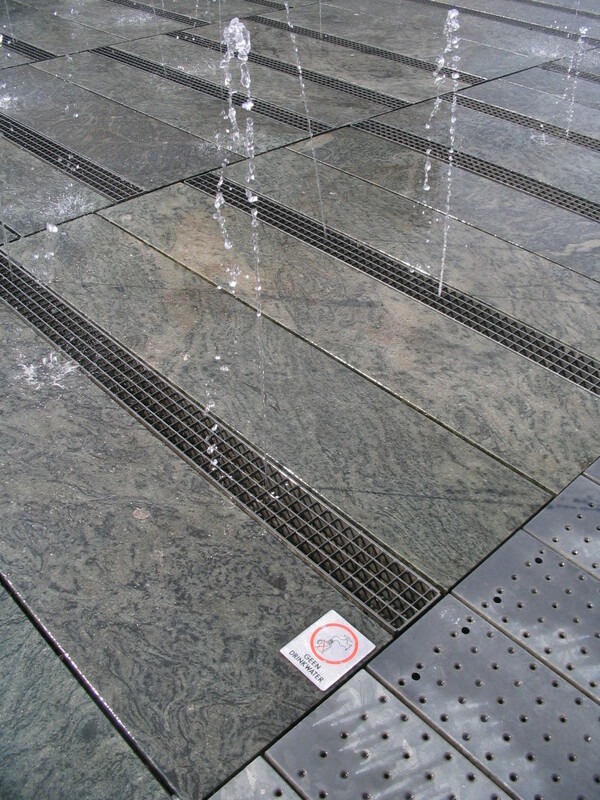 Hey kids, here's some potable water! Drink up! 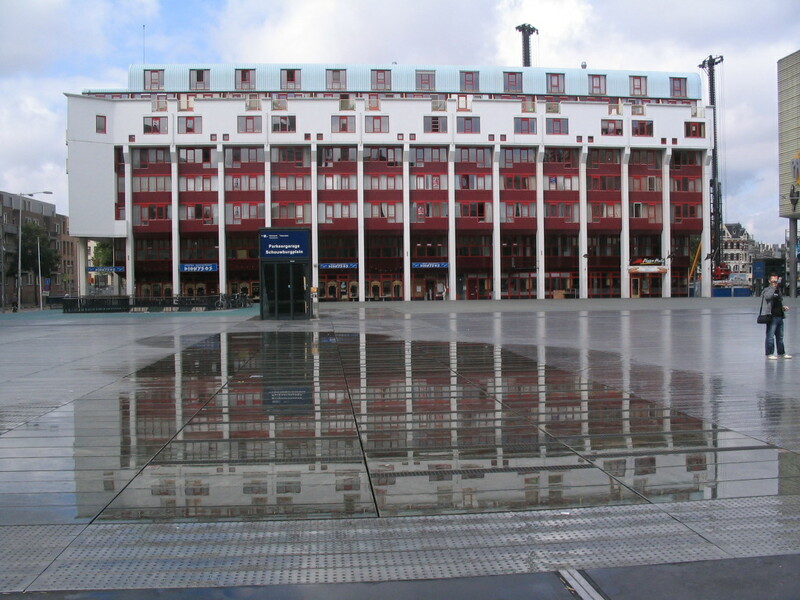 On the western edge of the Schouwburgplein, a festively red-accented complex. 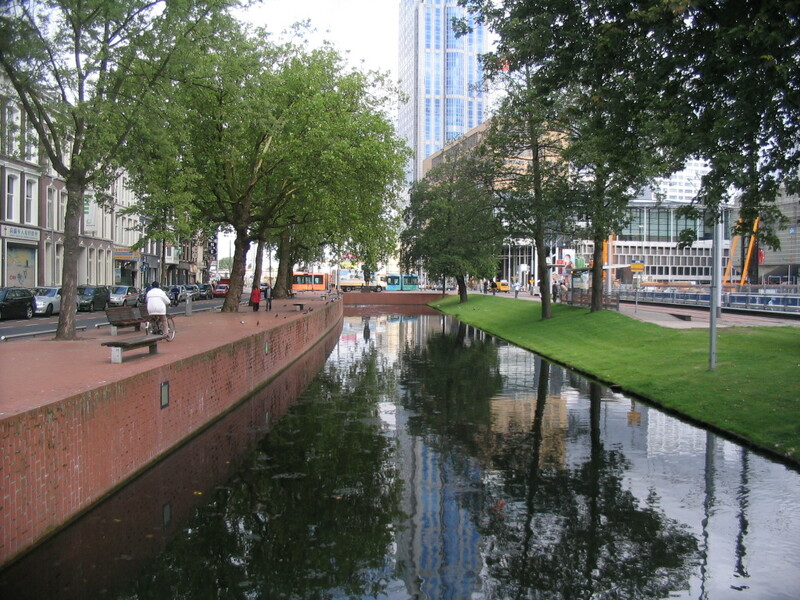 The banks of the Westersingel canal offer a nice contrast between hard- and softscapes. The brick bank is quite finely sculpted. Meanwhile, tram tracks slice right through the grass on the other bank, recalling the good ol' Tallinn tram. 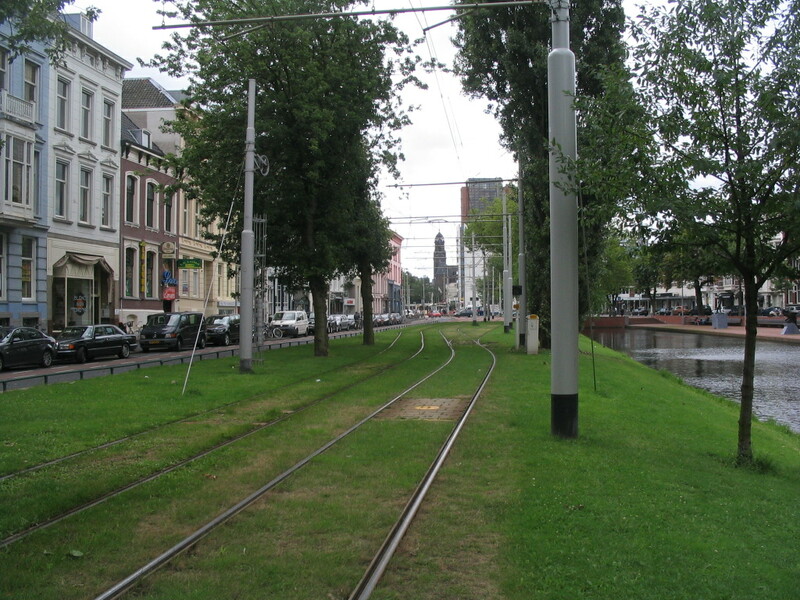 The only other place I distinctly recall grassy tram tracks is New Orleans, which I would visit for the first time the following year. 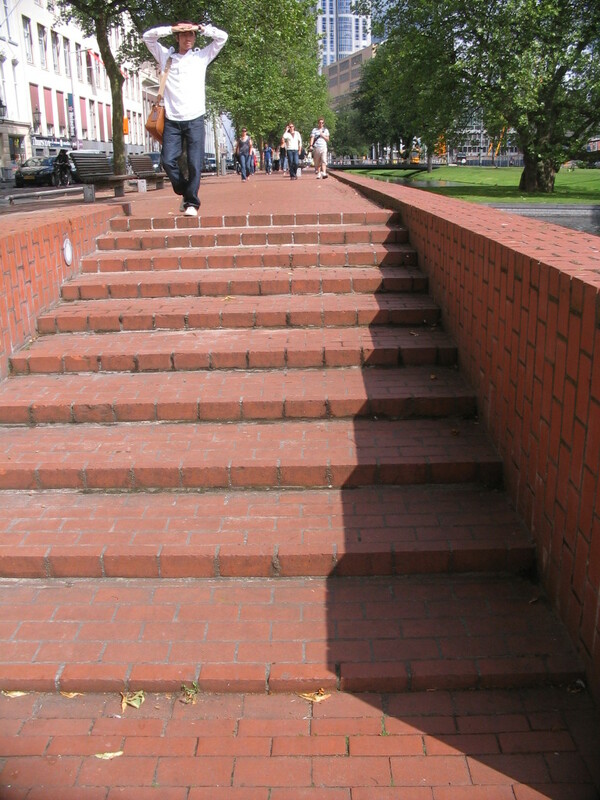 On the east side of the Westersingel is an architectural icon, De Unie, designed by J.J.P. Oud in 1925 and originally located on a different street, the Coolsingel, until it was destroyed in the war. 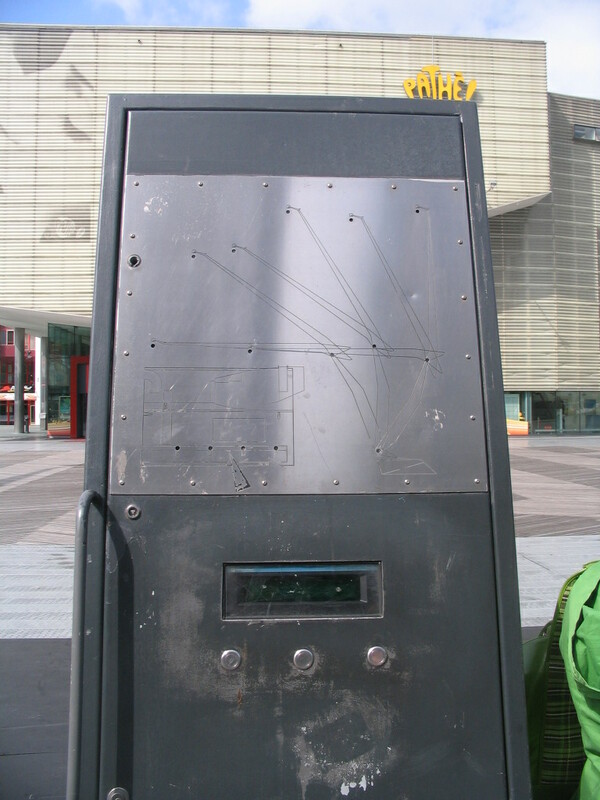 This then is a replica of the original, built on Mauritsweg. 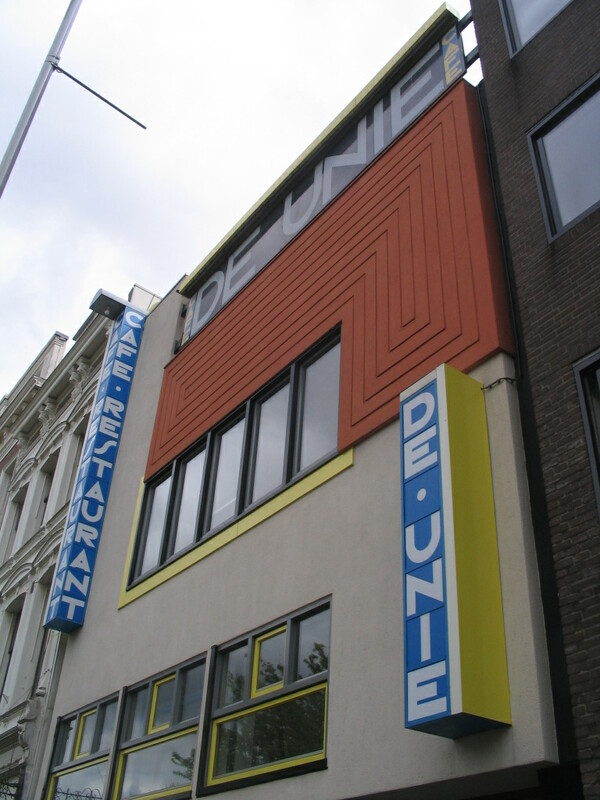 It is one of the most famous architectural expressions of De Stijl. 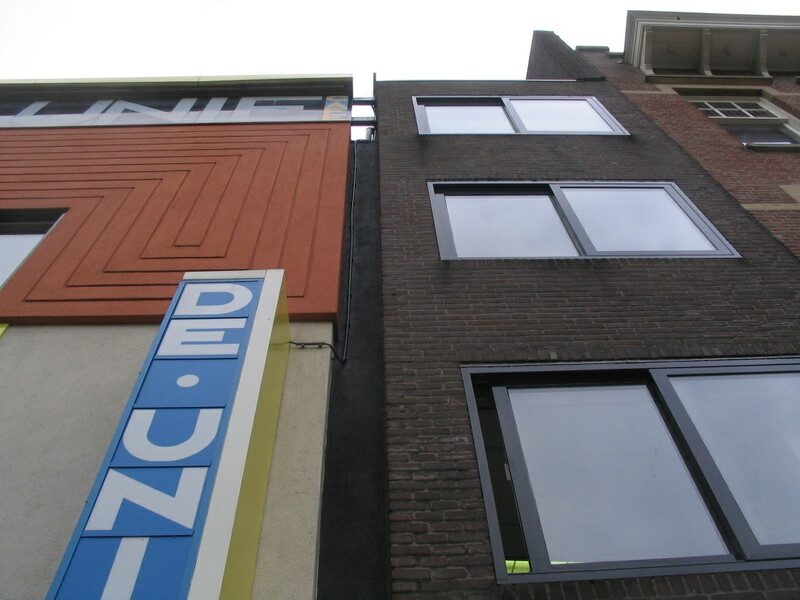 Next to it is an exceedingly narrow building indeed, unless it's an annex of De Unie. 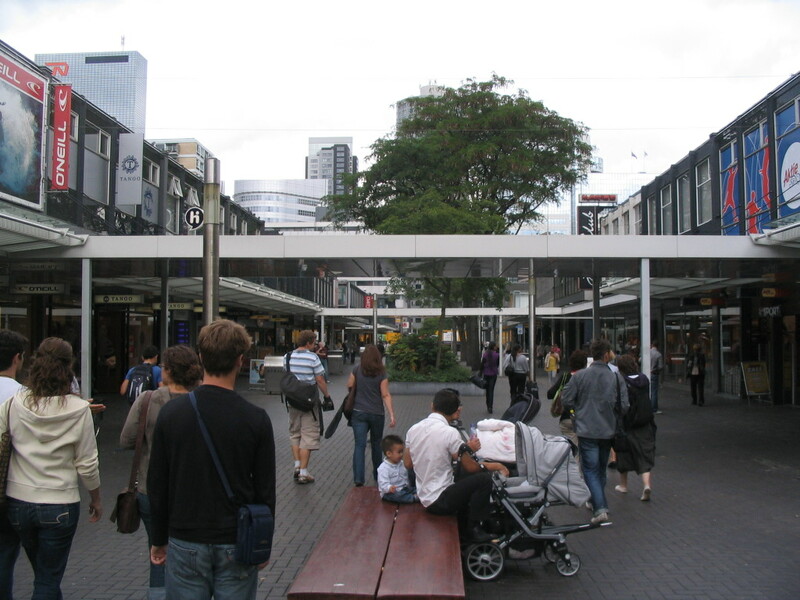 The carfree high street Lijnbaan was developed in the 1950s. It's an interesting spatial experiment. I quite like these bridging canopies except for their excessively glossy finish. 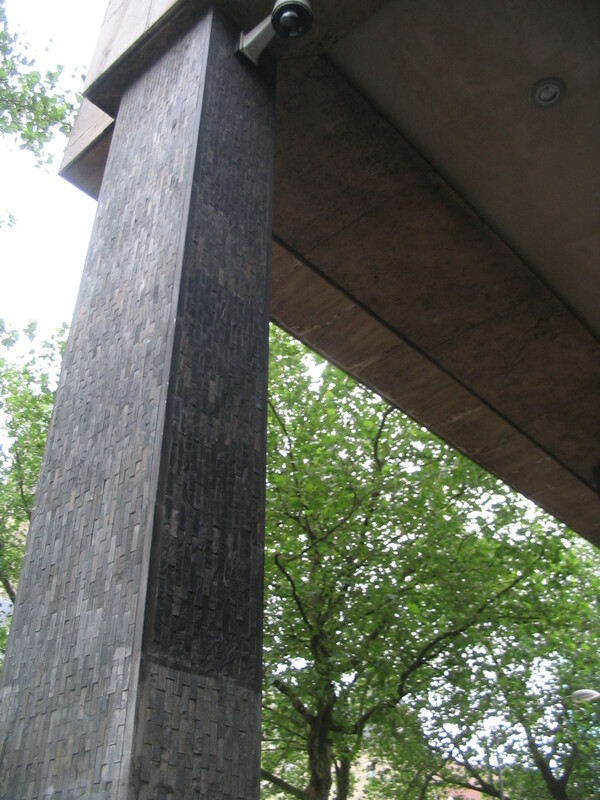 A finely tiled column at the front of a building along Coolsingel, just across from the Stadhuis (City Hall) and next to the Stadhuisplein. 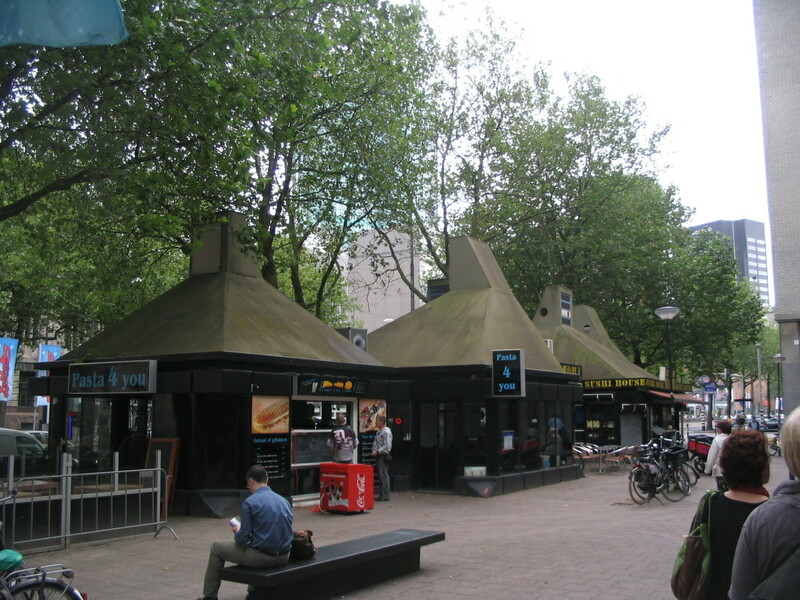 These, just south of the Stadhuisplein by Coolsingel, have got to be the most sinister food kiosks I've ever seen.